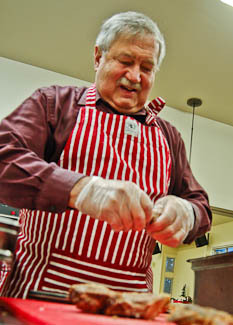 Each week, HIP Prep Team Volunteers prepare meals and other food items to support HIP's programs. 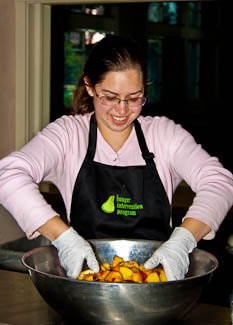 Work alongside Registered Dietitians, dietetic interns or volunteers to prepare healthy recipes highlighting the foods available to clients at the food bank. Varies Weekly. Wednesdays 9–11am, Thursdays 3–5pm, Saturdays 8:30–10:30am. Throughout the year, HIP hosts special events and volunteer nights. There are also opportunities to volunteer based on your special skills (writing, photography, videography, recipe development, finance, marketing, fundraising, etc). Please complete a volunteer application, indicating your particular interests and availability. Use the HIP Volunteer Application to see our current volunteer needs and apply to volunteer with HIP. 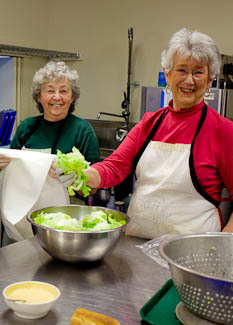 HIP is grateful for the support and dedication of our individual and group volunteers. Thank you!